I have to admit, that I may make a few of these and add them to my fall decor when November rolls around. I could see these trees being transformed into some sort of place card holder for Thanksgiving dinner. 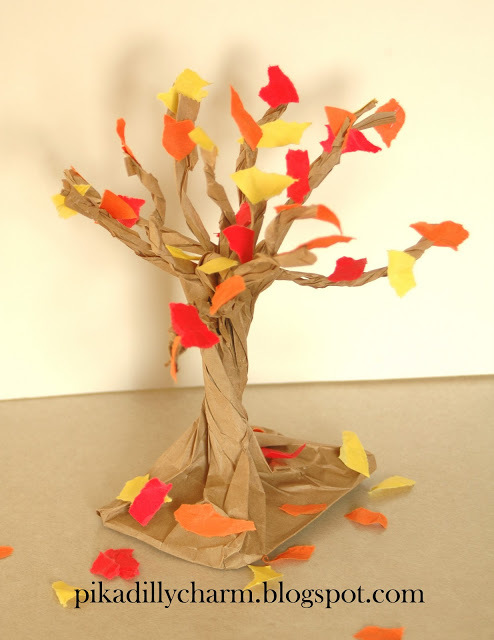 This paper bag tree would be a great craft, if you want your little one to practice their fine motor skills. I would say that this activity would be appropriate for a preschool to 1st grade child. If you would like more information about this children’s craft, visit Pikadilly Charm.